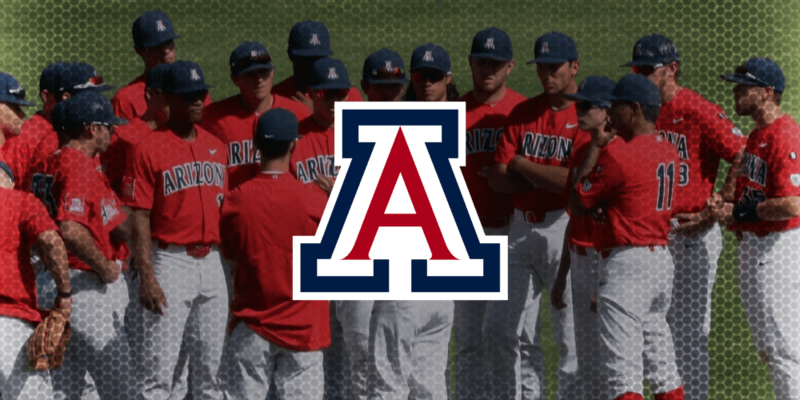 MESA, Ariz. — It may be hard to pinpoint, but did any D1 program have a more painful offseason than the Arizona Wildcats? Hmmmm, considering the way its 2018 season ended, perhaps not. Usually a Pac 12 team that finishes 34-22 with an RPI at No. 47 is in good position for an at-large bid to the NCAA Tournament. As you guys know, the selection committee is usually well-adept at how the RPI undervalues a lot of West Coast teams. That’s why you’ve had recent teams like UCLA and Oregon make the NCAA Tournament with RPIs in the 50s. But when the bids went out, someone put the Cats outside for the night and they were clawless. Only seven teams in the west got a bid to the NCAAs and four of them were Pac 12ers. Two of them were national champion Oregon State and UCLA, teams that the Cats went 5-1 against during the season. The problem was UofA went 14-16 in conference play and also had a rather weak non-conference schedule. Those two big factors forced them to sit at home in the month of June. This fall, the emphasis was not only getting the Wildcat program back on track but working some new pitching into the mold and also finding some fill-ins to go along with what will be a veteran infield and batting order for 2019. And the good news is, according to Jay Johnson, the head honcho of the Desert Cats, it was mission accomplished on all fronts. That is saying a lot since the Desert Cats return just 14 starts on the mound from the 2018 squad and just 166 of 500 innings pitched overall. The losses include aces Cody Deason and Michael Flynn, who combined for 27 weekend starts and saves leader Tylor Megill. But the first line of D1baseball’s write-up on their No. 11-ranked recruiting class was “The Wildcats believe they brought in their strongest group of arms since Jay Johnson and his staff arrived in Tucson.” And it’s true.